This discussion is about "Wipro comments" in the "Call Center / BPO" forums. Modawat ba silag high school graduate sa healthcare/medical account? 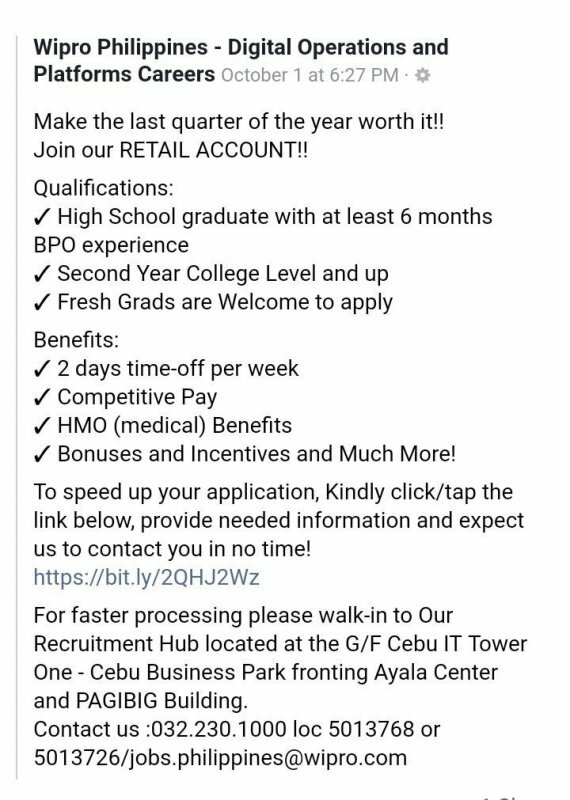 We're currently hiring for our new medical account with at least 2yrs call center experience, 2yrs in college with no back subjects..our referral is at 12k. So, what are u waiting for? RCTV, CebuTV, Business Channel, Party Channel,etc. comments? Mike Arroyo's comment on journalist, your opinion.